Jeri Usbay | Be comfortable with the technology meant to enrich your life! It’s been some time since my last post due to the arrival of my grandson. I thought his arrival would provide some family time away from technology which it has, but I’ve also learned that from pre-pregnancy through childbirth and beyond, there is an app for that! There are fertility apps that help you track best time to conceive. Once pregnant, there are apps to track how your baby develops, doctor appointments, and what to expect. Once in labor of course there are apps to track your contractions. As a grandparent there are apps that help you share your caretaking activities with baby’s parents. It’s good to know there are also apps to help soothe and entertain baby if you choose to use them. The challenge is sorting through all that is available! Most apps you can download for free, with optional pay for add-ons. Here are a few apps I’ve been using in my new grandparent role that have been helpful. Glow Baby Newborn Tracker – this one both my daughter and I use. It logs feedings, sleep, diaper changes, milestones, and has a community of users you can communicate with. The nice part is I can see how long it’s been since baby has eaten or slept, and it shows feeding and sleeping patterns. Cradle (Baby Sleep Sounds – Cradle) – This app offers animations and a multitude of sounds to soothe baby as well as sleeping tips. My favorite (and only free) animation is called Dreamsea. The music and animation instantly calm baby. Sorry Android users this app is IOS only right now. Smart Rattle (Baby Rattle Games: Infant & Toddler Learning Toy) – this is a really fun one. Each screen has a different category of items floating around – animals, cars, toys, instruments, etc. When you touch one it twirls around and comes to the front of the screen with an appropriate noise. Sorry Android users this app is IOS only right now. YouTube of course also offers all sorts of free learning videos which older children may benefit from. Naturally we should have concerns about too much screen time, and limit time spent. I’d be remiss if I did not mention that The American Academy of Pediatrics recommends keeping all screens off around children younger than 18 months! This includes TVs too as screen time can interfere with language development, cognitive skills, socialization, as well as cause sleep problems. Apps, TV, and learning videos are not a substitute for hands on and social interaction learning which is how children actually learn. If baby is distracted by a TV, baby is not concentrating on developing other skills. What to do? Do your research if you have concerns, and use your best judgment. 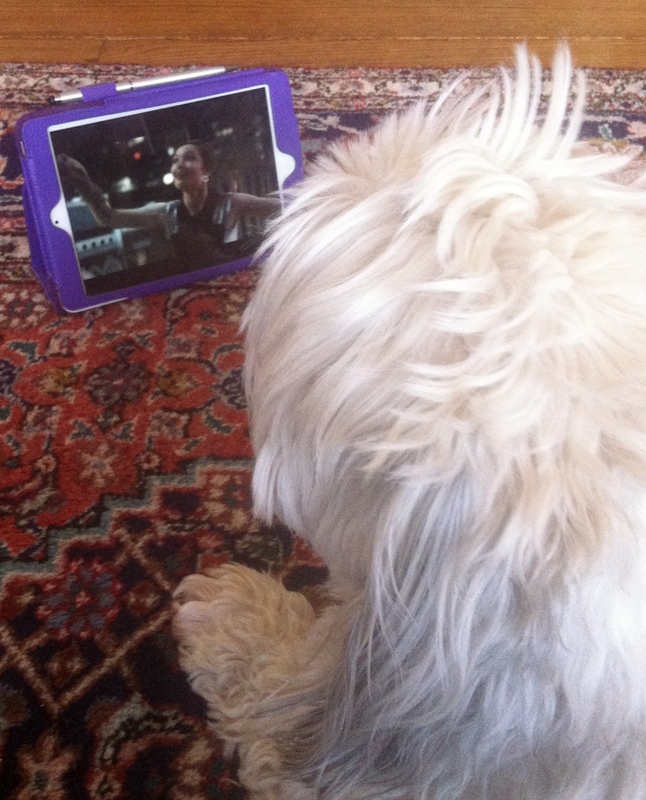 As a grandparent (and parent) occasional use of apps and YouTube can be helpful and fun in moderation. If the TV is always on in your household – whether you are watching or it’s just on in the background, you may want to consider some quality shut off time. What is your opinion on this? Are there any pre or post baby apps you’ve used and would recommend? Facebook surely has its fans and foes, and undoubtedly flaws. There is of course virtue in connecting with old and new friends on Facebook. One of those virtuous places within Facebook can be found in Facebook Groups. You can start your own, or join an existing group. You never know who or what you may encounter in a Facebook Group. In my experience, I’ve unexpectedly heard from my high school math teacher, (“I’m still kicking” was his post) as well as my childhood next door neighbor. I planned a work reunion for about 35 people that turned into 200 people. Expect the unexpected but expect nostalgia on a grand scale if you join an alma mater or neighborhood group. My childhood neighborhood group has pictures of the neighborhood that span decades and occasionally I’ll see a familiar name in a post or comment. So how do you find such groups? You can use Facebook’s search and see what suggestions appear, for example the city you grew up in (or current town) followed by “group” (e.g., Fresh Meadows group) to keep up to date on local news, commentary, and nostalgia. You will have to click on Join, and at some point an admin for the group will make you a member. If the group is public you will be able to see posts without joining. You must be a member to post or comment. There are 3 different privacy settings a group may have. Click here to find out more about group settings. In addition to searching for a particular group you can explore a myriad of Facebook Groups by category. There are multiple ways, but the way that currently works on all devices is to search “groups discover” then click on Groups Discover. Or search “create group” to easily start your own group. Once a member of one or more groups, you’ll see updates from the group in your News Feed. Read not only the posts but also comments as you may find a lost classmate or neighbor or who knows? I’d love to hear if you’ve had any interesting group encounters! There are dozens of devices on the market to track fitness, ranging from the simplest step counters to high end smartwatches. To be honest I wanted an Apple watch last year, but even the smaller version was a bit large for my wrist and there were rumors of the next version on the horizon, so I decided to wait and purchased a more reasonably priced Fitbit HR. I’ve worn it consistently for over 6 months now and I do mean consistently, only taking it off to charge or when it may get wet. Many friends ask me what does it do, do I like it, and what about the new Fitbit Alta? So, here’s my 6 months worth of Fitbit HR wear experience. I knew I wanted a wearable to track my steps, heart rate, and sleep (yes have to wear it while you sleep). I did not realize I would become dependent upon it as my watch with current date. It also tells me floors climbed, calories burned, miles walked, as well as providing me with exercise stats. The big bonus is that as long as my phone is in range, it alerts me to phone calls with a vibration, and caller ID taken from my smartphone’s contact list. It syncs with the Fitbit app, which will provide all sorts of stats for you, including your sleep patterns. You can also view your stats at fitbit.com. Finally an excuse for crankiness! ”Well of course I’m cranky today honey, I only slept 5 hours 12 minutes, was awake 3 times, restless 19 times, and awake/restless for 37 minutes!” You can create a fitbit.com account online even without the device for a preview 0f available tracking. Measuring steps like all the Fitbit stats is a guideline – if you walk without moving your arm that it’s attached to, it won’t register. If you move your arm while you are sitting, steps will register, so it should even out. You get a friendly vibration when you’ve reached your 10,000 step goal (which you can change via the app). What I love is that I also purchased a Fitbit Aria WiFi Smart Scale and once connected to your home WiFi network, it automatically records weight, BMI, % body fat, and lean mass on the Fitbit app keeping weekly averages. These stats are also viewable via fitbit.com. If you feel like being social, you can do challenges with friends, and see how many steps they’ve done for the week too. The Fitbit app also integrates with the Weight Watchers app automatically allotting you activity points. The new Fitbit Alta is sleeker, and more stylish and has the added benefit of being able to view text messages and calendar alerts. However it does not track heart rate or floors climbed so choose your Fitbit dependent upon what’s most important to you. You can switch out the Alta wristband. The HR has a watchband closure unlike the Alta, but cannot be switched. Visit fitbit.com/store to compare all Fitbit models as well as view details about the Atria WiFi Smart Scale. These items are also available at Amazon of course. If you are looking for a fitness tracker, do your research as there is much to choose from. One caution about the Fitbit HR, there are complaints by some that the wristband or the charging port causes a skin rash, especially if worn tightly or in the warmer weather so be mindful of this. You don’t have to wear the wristband tightly for it to work. Try coconut oil on your rash and switch wrists should this happen. Regardless, I’m still a fan. I’d love to hear about your experience with this or other fitness trackers. All these stats can be a bit much. Sometimes it’s good to just relax, get your exercise in, and not worry about tracking too! If you are reading this post, most likely you’re spending a fair amount of time on Facebook, maybe more than you’d like. Of course there are times when you are not on a schedule, and just want to relax and browse your friends and photos. However when you’d like your visits to be more efficient, here are a few tips to help save you a bit of time. 1. Turn off Video Auto Play – Does it drive you crazy that videos automatically play as you peruse your Facebook News Feed? You can easily turn this feature off by clicking on Settings (or Privacy Shortcuts, See More Settings), and then Videos. Set Auto Play Videos off. 3. Prioritze your News Feed – Do you check your News Feed daily (or more frequently) to see posts from your favorite people or business pages? Another Facebook feature introduced last year allows you to prioritize posts you see in your News Feed. On your desktop, click on the drop down arrow on the far right of your top blue menu bar. Select News Feed Preferences, then Prioritize who to see first. All of your friends and business pages will display; click on those you wish to appear at the top of your News Feed, or click again to deselect. You can also click on the All button on the left to switch the view to Friends only, Pages only, or People you see first. (Also from News Feed Preferences you can Unfollow a person or business if they are clogging up your feed. Note you can unfollow someone and still remain Facebook friends, or unfollow a business while remaining a fan, and no one will never be the wiser). 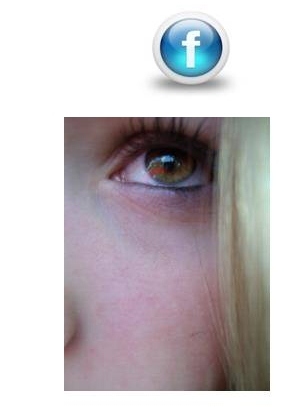 Of course the best way to minimize your Facebook time is just don’t look!!! Please comment and share your Facebook time saving tips, I’d love to hear them! Yes we are addicted to Facebook, we have admitted that to ourselves already. We receive positive reinforcement whenever someone likes our comments or posts to our Timeline. And we love all the love from the many birthday greetings. The benefit of Facebook is that it connects us to friends, acquaintances, and businesses. It is a great networking tool, but not when we miss posts, or have so many posts we can’t find the ones that are important to us. Facebook is not as much fun when we start missing out. If you’ve been on Facebook for a while, the number of friends and pages you’ve liked no doubt has grown to the point where you cannot possibly see every update from every friend and page. You may already know that your News Feed is filtering all these posts – you are not seeing every post from every friend and business you’ve liked. How Facebook filters is their secret, and it does change periodically. What to do? Check out these suggestions for using facebook.com (mobile app options do exist though may be slightly different than depicted here). 1. Sort your News Feed by Most Recent rather than Top Stories. You will then see updates in the order they were posted, rather than by the order Facebook believes is most relevant for you. Try it both ways and see the difference. The option is in the left column of your News Feed, under Favorites. Once you set the filter to Most Recent it may reset to Top Stories, so you may want to notice how you’re filtering when you land on your News Feed. 2. Use the Pages Feed. To easily see updates from business pages that you have liked,click on your Pages Feed (left column of your News Feed below Favorites list). You may be surprised at what you’ve been missing! 3. Create Friends Lists. I really think this is the best way of controlling your News Feed, and easily seeing what is most important to you. Click on Friends from the left column of your News Feed, then Create List. Enter a list name (e.g., Friends with Dogs, Book Club), add friends to the list, and when you click on Create, your News Feed will now be filtered by this list. To see your full News Feed, click on Home (or News Feed from your Favorites in left column). Once you have lists you can just click on the list name under Friends (from your News Feed) to filter your News Feed to see only updates from people on the list. Note that Facebook has already created 3 friend lists for you: Close Friends (will appear more frequently in your News Feed), Acquaintances (will appear less frequently in your News Feed), and Restricted. (Put people on your Restricted list if you only want them to see posts you’ve made public.) If you don’t see all your lists, click on Friends from the left column of your News Feed to see them all. If you are on a friend’s Timeline and want to add them to a list, just click on Friends near the bottom of their cover photo, and you will see an option to add them to an existing list (you can also create a new list here). Once you make use of Friends Lists to filter your News Feed, you can also use your lists as a sharing option when you post. 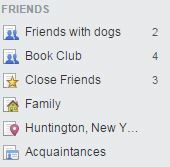 A friend can be on multiple lists, and only you (and Facebook) are aware of the list. 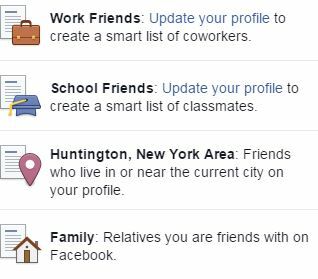 Facebook also has 4 Smart Lists, lists which automatically update dependent upon information in your profile and profiles of your friends. 4. Be direct. Of course you can always go directly to the Timeline of a friend or business. This is the best way to make sure you have not missed any updates. This may all sound like a bit of “work” but really, it is easy to manage your News Feed – try it, you’ll like it (no Facebook pun intended)! Cloudy Over “The Cloud” ? 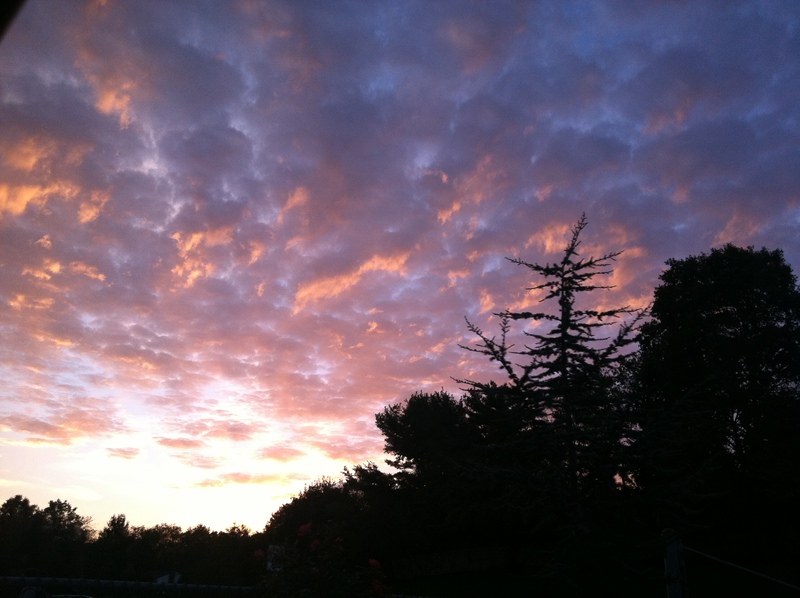 If you are unclear or cloudy over cloud storage you are not alone. Many people I speak with, roll their eyes (and sometimes their heads too while spinning their finger in the air) when they mention the cloud, like it is floating about somewhere in the atmosphere. All this rolling and spinning is getting me a bit dizzy, so I thought I’d attempt to lend some clarity to “the cloud”. It’s simple. When you use cloud storage, you are saving your data (via the Internet) on a remote database owned by a company, instead of your computer’s hard drive or one of your physical backup drives. With your data stored in the cloud, you now can access it via Internet access; it is not restricted to one device. Additionally should your computer or hard drive backup fail, your data is not lost. Your photos on Facebook are a simple example of cloud storage. You’ve uploaded your favorite photos to Facebook via the Internet, and whether you are on your phone, tablet, laptop, or even a friend’s device you can access them. With Facebook, others that you authorize to share with can also see your photos. TADA! You’ve been using cloud storage ever since you’ve been on Facebook. Another example of cloud storage is the iCloud for your iPhone and other Apple devices. Once data is on the iCloud it can be accessed from any of your Apple devices (phone, iPad, iPod, computer). Most cloud services allow you a specified amount of free storage (2-15 GB depending on the service), and then charge additional fees for additional space. Amazon Cloud, Apple iCloud, Dropbox, Google Drive, Microsoft OneDrive (previously SkyDrive), and Verizon Cloud are current popular cloud services. Having a backup of your data, being able to access and share your data across multiple devices, and document sharing are the big pluses of cloud storage. However privacy and security concerns exist. Data breaches are unfortunately common today which is why I shy away from using the cloud to store financial, personal, or sensitive documents. Music, photos, and contacts that would be hard to replace are my best candidates for personal data on the cloud. The cloud is also great for file sharing, but again I would not share any documents of a sensitive nature, or anything that could compromise intellectual property should there be a data breach. Perhaps I am being overly cautious as the convenience of storing your data in the cloud and file sharing may in fact outweigh the potential risks. How do you feel about storing your data in the cloud? Here are 4 maneuvers you can use on Google that you may be unaware of. The first 2 require you to have a Google account. If you use Gmail for your email, you already have a Google account. If you don’t have an account it is quite painless. Go to accounts.google.com/signup. It is quick and easy. 1. MY PURCHASES – If you’ve been ordering items online and using your Gmail address when ordering, type the following into Google search: my purchases. You have to be signed into your Gmail for this to work. All your purchase confirmations, shipping, and delivery notices will appear. If you click on an order, an itemized list with cost and total spent for that order is displayed. You can also then click to go to the actual email. Very handy at holiday time to track your shopping list and manage your budget! 2. ALERTS – You will also need a Google Gmail account for this one. 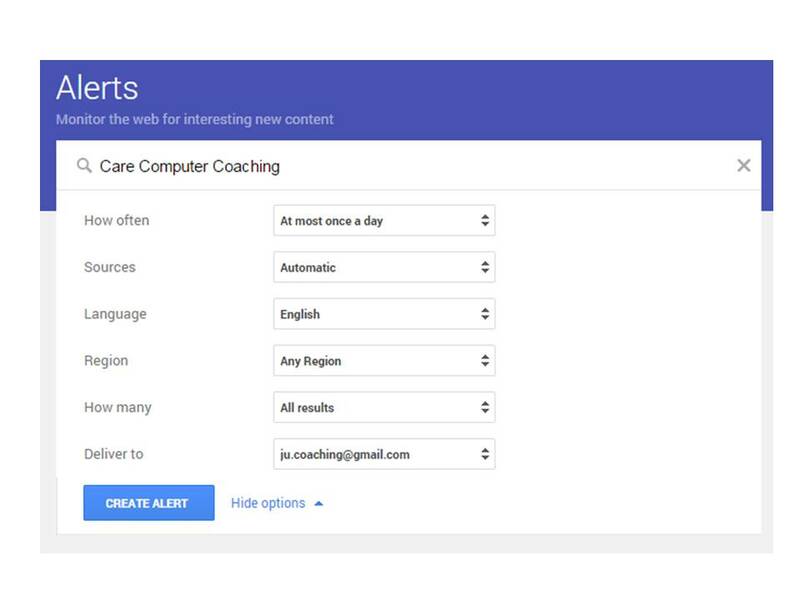 You can set up a Google Alert to receive emails with links to recent Internet content about any topic of your choosing. You can set up one for your name for instance to see if there is anything posted about you on the Internet. You can set up an alert for anything you search and want to be updated about – a school, or car, or company, or product, or medical information, etc. This is also painless to set up, go to google.com/alerts. You have a choice of settings including how often you want to receive the alert. Once it is set up you can later delete the alert or modify its settings. You can set up multiple alerts. 3. FLIGHT INFO – Wondering if your flight is on time? From search just type flight, then the name of the airline and flight number. For example: flight southwest 157 . 4. ATARI BREAKOUT – I saved Atari Breakout for last, because after trying this, you will forget to come back to this post. Search for Atari Breakout, then click on the Images link. Welcome back to the 70’s. Have fun (see you in about half an hour)! If you have returned, welcome back! Let me know what you think if you’ve tried any of these tips or if you have a favorite of your own to share. I reluctantly began using Pinterest last year to help plan my daughter’s wedding, which inspired my post last year, Interest in Pinterest? I quickly gained an appreciation for its usefulness to gain ideas and save images of web pages. In a nutshell, Pinterest allows you to create bulletin boards and pin items from the Internet to these boards. Once the image is on a board you can click on the image to retrieve the original web page. To save web pages on Pinterest you need to create an account, but nothing stops you from browsing and searching boards and pins if you don’t have an account. If you go to pinterest.com you will have to log in or create an account. 1. Type “pinterest.com/all” into your web browser (or click here) . 2. Use a search engine to find a company (or subject) on Pinterest, (e.g., “home depot pinterest”, or “bath vanities pinterest”, or “tool storage pinterest”), then click on the link that has /pinterest in the web address. 3. Click on the Pinterest logo, the white P on the red background when you are on a website to visit that company’s boards. Once on Pinterest, you can click on a board that interests you, and you will see all the pin images on the board. Just click on the image to get to the original web page. Alternatively you can use the search feature in the upper left corner. Clicking in the uppermost leftmost corner will provide you with a menu of categories. You can also enter your own search criteria. Chances are if you do start browsing Pinterest boards you will likely want to save some of these links, and may decide to create an account after all, which is simple and painless. Note that boards are by default public on Pinterest, but when you create a board you can designate it as a secret board for your eyes only. Pinterest is one of those things that is better understood by experience than by explanation, so I will stop now. One last thought…. beware that Pinterest can either be a time saver for you or just the opposite – another social media website that easily consumes much more of your time than you had planned! Instead of boasting number of users, Pinterest currently boasts over 30 billion pins. If a picture is worth a thousand words, Pinterest must be worth over 30 trillion words! Recently Pinterest is not permitting you to go too far unless you have an account. The only suggestion I can make at this time would be to create an account (you only need to provide a name, age, an email address and a Pinterest password). When you create the account you also need to click on a few interests so Pinterest can populate your home page, and then later confirm your email address via an email Pinterest will send you. After that you can look at any pages you like as outlined above, and you don’t have to pin or create your own boards. Using Wireless More But Enjoying It Less? I was awakened on a Sunday morning to a text message from my cable provider, apologizing for an outage and assuring me it would be remedied as soon as possible. All was restored about 5 hours later, but alas my wireless router did not survive. There was about an hour of panic over my lack of Internet access, until I remembered I could connect my laptop directly to the cable modem and forego the wireless router (duh). At least now I could research routers online and have an idea of what I should buy before shopping that day. Ordering online and waiting a day or two for delivery was not an option for this wireless household. So I researched and headed out, leaving the evening open for the hours of setup. Setup of the last wireless router, I am guessing about 8 years ago, was not fun. So, after arriving home with my new purchase I was planning on a long evening of possible frustration over the promoted “easy setup”. But it really was easy. It was just a matter of plugging the router into a power source and connecting it to my cable modem. The wireless devices in the household easily found the new network connection. Tada! But that was not the only surprise…my wireless life has changed. I was shocked when I counted 10 devices in my home capable of using our new router: 3 laptops, 2 smart phones, 1 iPod, 1 Kindle, 2 iPads, and a smart TV. Of course they are not all used at the same time, and we are not big gamers. Yet my new wireless router has greatly improved the quality of my wireless life. Streaming TV on my iPad is much better, and with dual band I now have the luxury of choosing from 2 bands (either 2.4 or 5 GHz) when connecting a device to my home network which avoids devices competing with one another. This article will help you understand all the latest wireless router options, and help you decide what router options are a best fit to your needs. Perhaps you can also benefit from an upgrade as I did.